We have witnessed in the past year across Europe the consolidation and strengthening of political parties claiming to be the institutional arm of the fight against neoliberalism. On one side their rise has given hope to many suffering under the harsh measures of the austerity programmes, but on the other it has created the delusion that change will effectively happen through the institutional processes. The recent events in Greece, with the capitulation of Tsipras just after the inspiring referendum, have showed once again how fragile the relationship between parties and people are. In this context what is the role of the social movements? And what is their relationship with the anti-austerity parties? 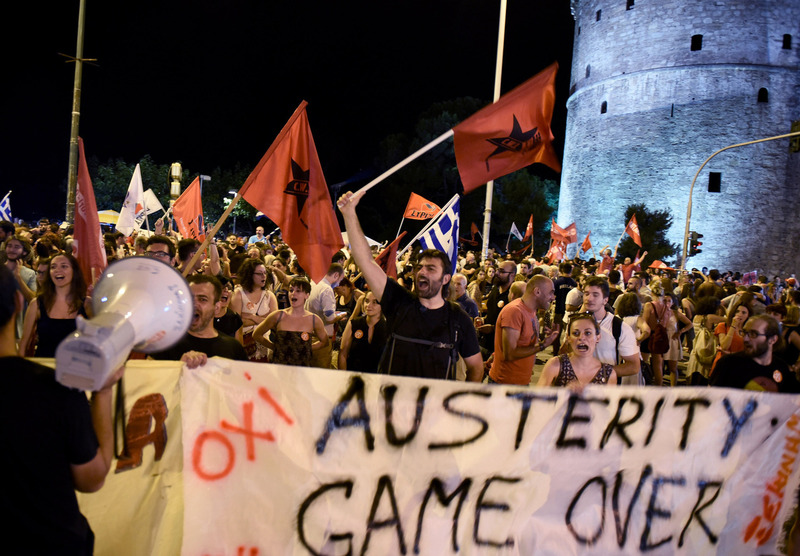 Recently Debt Resistance UK held an event where Teo Karyotis from Thessaloniki and Simona Levi from Barcelona spoke to us about their experiences in Greece and Spain. Below you can listen to their talk. Teo Karyotis is a sociologist, translator and activist participating in social movements that promote self-management, solidarity economy and defence of the commons in Greece. He recently wrote an article for ROARMAG on the subject. Simona Levi is the founder of X-net, an activist collective that supports grassroots groups in their campaigns. She recently wrote an article for OpenDemocracy on the subject.